* Complete warranty details available from your local dealer or at www.amana-hac.com. To receive the Lifetime Unit Replacement Limited Warranty (good for as long as you own your home) and 10-Year Parts Limited Warranty, online registration must be completed within 60 days of installation. Online registration and some of the additional requirements are not required in California or Quebec. Energy efficiency equates to cost savings. 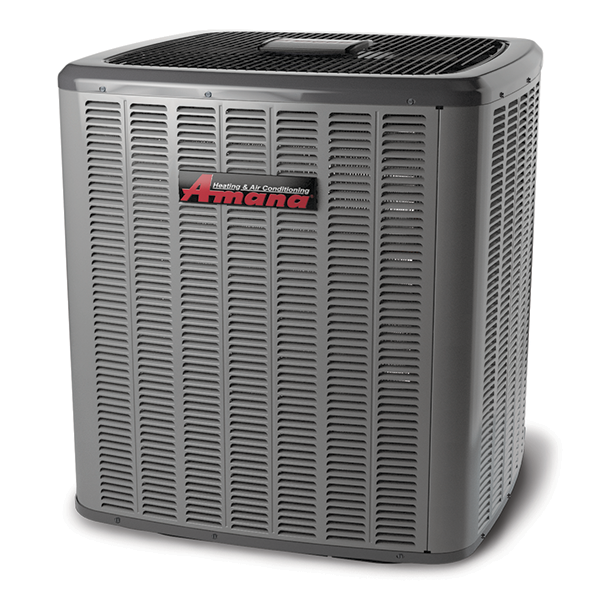 Your Amana brand AVZC18 Heat Pump offers up to 19 SEER energy-efficiency performance. “SEER” stands for Seasonal Energy Efficiency Ratio, a measure used by the U.S. Department of Energy to rate the cooling efficiency of heat pumps. The higher the SEER, the greater the efficiency—and the lower the operating cost. Compared to lower SEER units found in many homes, an Amana brand AVZC20 Heat Pump provides significant savings on your electric bill.